Pakistan saw a case of lynching a couple alive last year and from that time the human rights activists were asking for the trial of culprits who accused those two people of blasphemy and burnt them alive. 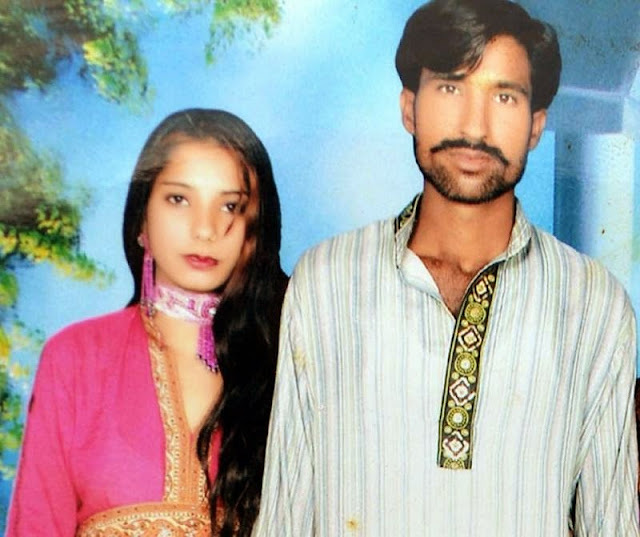 Reportedly an Anti-Terrorism Court (ATC) in Pakistan indicted 106 suspects in connection with their alleged role in the lynching of that Christian couple in Kot Radha Kishan. 60 kilometers southwest located area of Lahore is a poor people’s area where mostly the labor class lives. The court has also issued summons to witnesses to appear on Friday to record their statements against the suspects involved in the lynching case of Shama and Shahzad. The charge sheet states that Maulvi Mohammad Hussain, Maulvi Arshad Baloch and Maulvi Noorul Hassan were involved in persistent provocative speech against the couple which led to the assembly of 400 people who then burnt Shama and Shahzad alive. The court has also held Yousaf Gujjar, the owner of a brick kiln where the couple was beaten to death, responsible. The enraged mob beat the Christian couple to death in November last year for allegedly desecrating a copy of the Holy Quran and burnt their bodies in the brick kiln where they worked. The government is under pressure for not taking the culprits under trial and letting them free. The painful incident was discussed on many forums and people demanded amendments in blasphemy law. This was not the first case. Former Governor Punjab Salman Taseer was shot by his guard for providing assistance to blasphemy accused Christian girl.